Cooking seem to reach its heights in flavor and ease when its a chicken day. Let your taste-buds go chicky with this chicken. 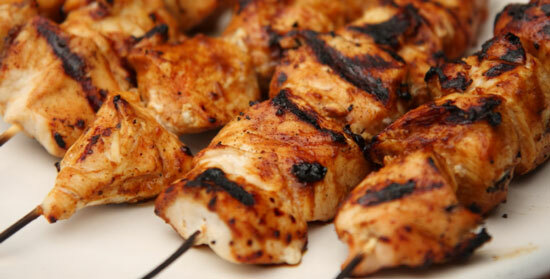 If you're cooking for a load of friends, or for a party, these kebabs will do the trick. They are so easy to make and very tasty. 1. Combine all marinade ingredients in a large bowl. Add Ajinomoto Umami Super Seasoning. 2. Add chicken pieces and marinate. Preheat grill. 3. Remove chicken from marinade, but do not discard. Thread chicken onto skewers and place on grill on medium high heat for 5-7 minutes per side, turning once. 4. Take remaining marinade and simmer in saucepan. Once chicken has finished cooking, serve with sauce over top.